Οne of the finest wines in the world from overripe, sun-dried grapes. It ages for 6 years in oak barrels. 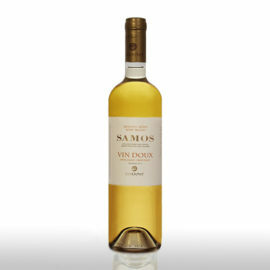 Its color is deep amber, with beautiful orange hints, with a nose of raisins, dried fruits, honey and dried nuts. Good acidity, long aftertaste with smoky notes and macaroons. The mouth surprises us with its freshness. 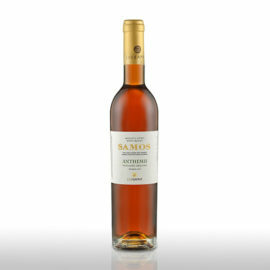 Served at 12-14 ° C.
Samos Nectar is one of the finest wines in the world from overripe, sun-dried grapes. It ages for 6 years in oak barrels. 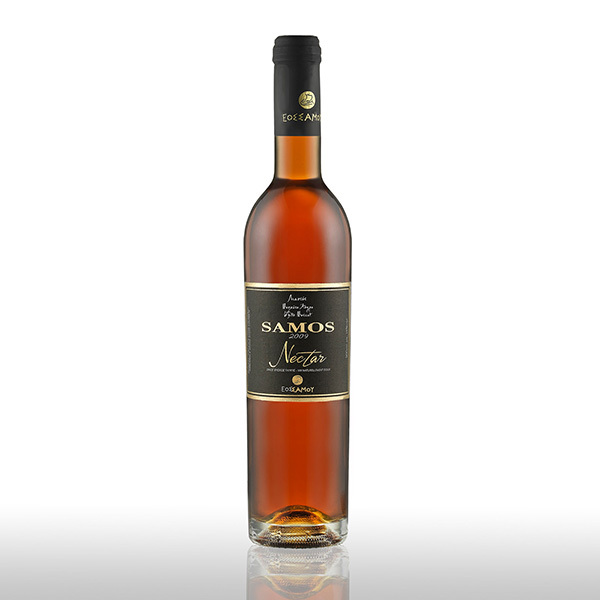 Its color is deep amber, with beautiful orange hints, with a nose of raisins, dried fruits, honey and dried nuts. Good acidity, long aftertaste with smoky notes and macaroons. It maneuvers between aromas of raisins, plums and roasted cinnamon. In the mouth one can detect hints of toffee, raisins, walnuts, mature oranges, cloves, intertwined with sweetness and “coated” with an amazing minerality that gives a completely new dimension to the sweet sun-dried wines. The mouth surprises us with its freshness, giving the wine a leading role on the table. 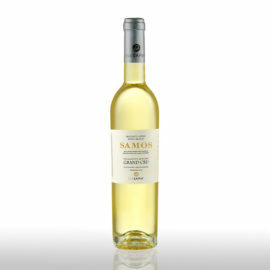 At the temperature of 12-14 ° C, Samos Nectar takes control of the palate and sends it on a journey of intense aromas and mature sweetness. A harmonious and powerful ensemble that can easily accompany exotic sweet and sour dishes (eg wild boar with quince, duck a l’orange etc. ), “strong” desserts such as baklava and walnut pie, chocolate and caramel desserts or with roasted nuts. It is also combined with strong cheeses such as stilton (blue and white), matured goats’ cheeses and various smoked ones.